If blood, guts, and gore are what you are looking for in your video games, look no further. In the following list there will be no lack of blood. If you are squeamish, you probably shouldn’t read this. In many games, blood and gore are highly exaggerated. 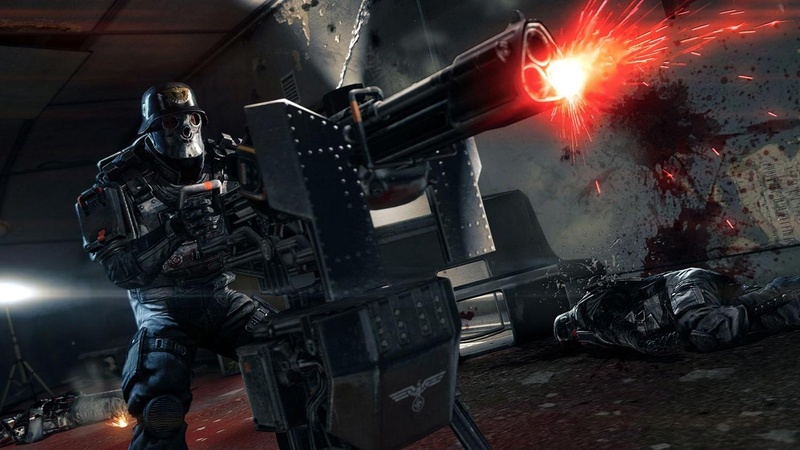 Though sometimes unrealistic, bloody FPS games are desired by many gamers. The more blood the better. Every attack rewards you with a spray of blood followed by a decently sized puddle. If you get in a small area with a lot of enemies, you can bet that you are going to be splashing through a pool of blood. Glory Kills, a special melee attack that kills enemies instantly, will let you live out your crazy gory fantasies. Often you will reach inside of an enemy and rip out a necessary part for living. Glory Kills leave your arm and the floor a bloody mess. 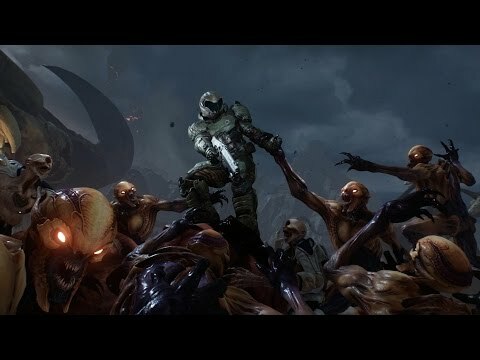 DOOM is the fourth game in the series. By the end of May 2016, there were 500,000 copies sold for PC. It had been in production since 2008. There is multiplayer mod that received most of the negative criticism around the game. William “B.J.” Blazkowicz wakes up in a world that the Nazis won WWII in. He must fight against them to keep the Nazis from ruling the world. A killing blow from your firearm will cause enemies to explode. Blood will fly everywhere. Often your kills will include a combat knife. As you can imagine, there will be blood. A majority of the time in the game, your arms and hands will be covered in blood. When you are able to sneak up behind an enemy, you can use your combat knife to slit their throat. The bloody mess isn’t only for humans either. There are wardogs that you can also stab in the throat. . Even when you start to take damage there is blood on the screen. Blood is splattered across walls around the scenery. There are many weapons to execute your bloody kills with. They can often be dual wielded. If you are unlucky (or lucky) to have purchased a German version of the game, the gore and blood are highly reduced. It is almost nonexistent in the German copies. 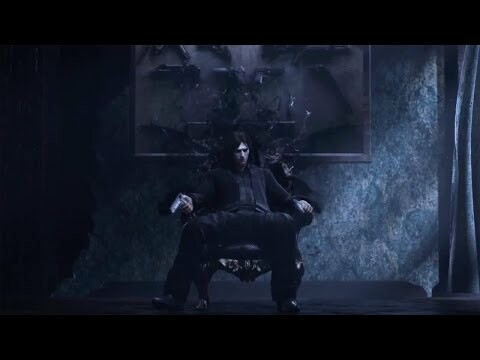 Jackie Estacado must defeat those who wish to take The Darkness from him. Even though it has been in his family for generations, The Darkness chose Jackie to possess and carry out its bidding. The Creeping Dark, The Darkness entities, really let the blood fly. The way that they execute enemies is always gore filled and interesting. The can rip people in half with one quick motion. Every kill you make will cover the ground and all surrounding areas red with blood. There is an execution named, Throat Plunge, where the Creeping Dark shoves its way down someone’s throat. Ripping their insides out from their mouth. It is gloriously bloody. There is a Vendettas game mode that can be played online with 4 players or offline. At anytime you have access to one Darkling. They can aid in completing missions just like the Creeping Dark creatures. 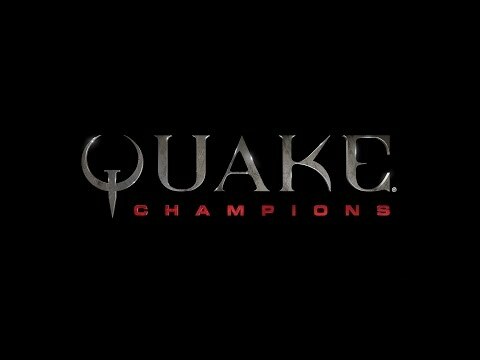 Pick a champion and kill off the other players in this arena style game. 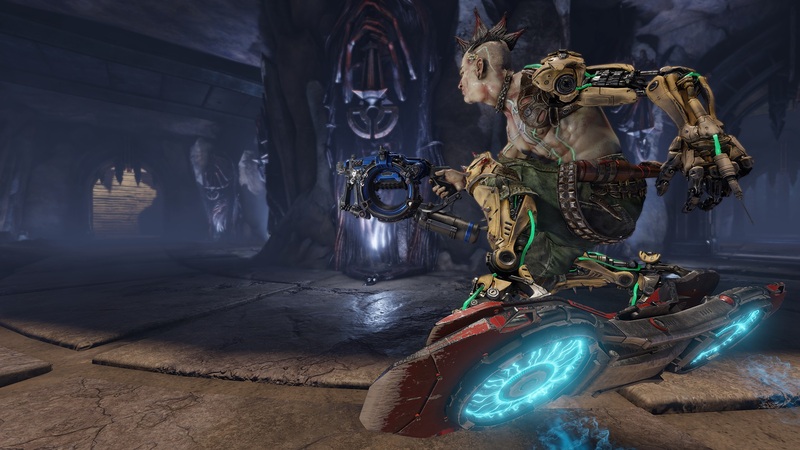 As of right now, there isn’t a whole lot of gameplay of Quake Champions, but what has been released shows the chaos that will happen when playing. 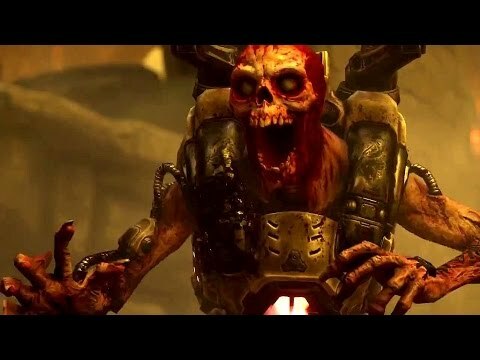 A few of the champions are killed in the trailer. The kill shots include plenty of blood. Also, at the end of the trailer, a champion kills another using a saw type weapon at close range. Cutting into his body, there is plenty of blood. 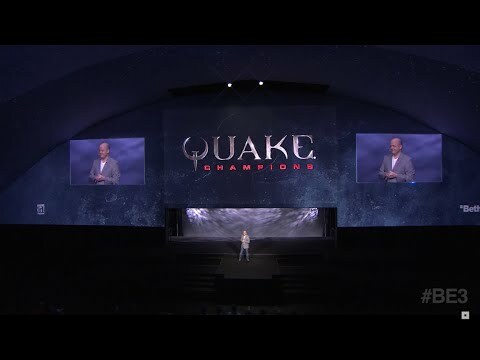 When in development, Quake Champions, the codename, “Lovecraft” was used. It was recently announce at E3 in June 2016. You must learn how to survive with your family in the post apocalyptic world in this open world style game. 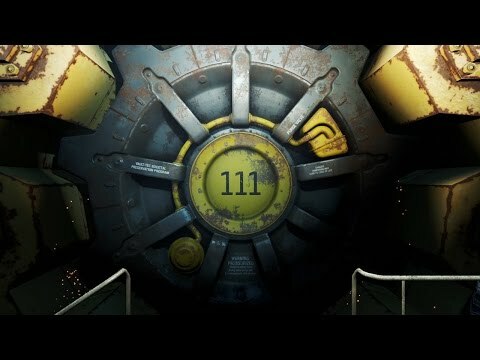 While there is blood shown in the basic edition of Fallout 4, the real gore comes with 2 mods. They are called, BIGGER BETTER BLOODY MESSES and Enhanced Blood Textures. As you could guess, they make the blood, better. When you play with these mods, things can get to be over the top. No matter how you kill an enemy there will be blood everywhere. Bloody limbs will fly everywhere as well. A simple shot to a body will look like you through them in a wood chipper. Fallout 4 shipped 12 million copies in its first 12 hours. It made $750 million dollars in that time as well. If you bought the collector’s edition, you received the game as well as a wearable replica of Pip-Boy. The Green Flu has rampaged across the planet. You, a human with a natural immunity, must make it to safehouses, fight off the infected, and get to the extraction points. The Green Flu turned most of the world into infected, flesh eating zombies. Zombies generally mean that there will be plenty of blood. This game is no exception. Each shot, or melee attack will award you with a spray of blood and probably a severed limb. To get some of the most bloody kills, melee weapons are the way to go. You can use an axe, guitar, or a frying pan. The frying pan is hilarious and bloody when used to kill enemies. 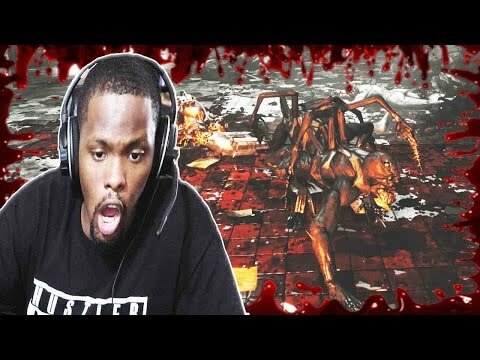 There are 8 different infected Special zombies. They are the Boomer, Hunter, Smoker, Tank, Witch, Charger, Spitter and Jockey. Some can be used to kill other infected if you plan your movements correctly. In some countries, Valve had to release heavily censored version of the game due to its violent content. There are rumors of a Left 4 Dead 3 game. The zombie outbreak has moved to California. You must now survive and kill as many zombies as you can. Dead Island 2 really focuses on melee combat. Melee combat means that there will be plenty of blood for you to enjoy. The weapons that you craft will allow you to completely decapitate enemies with one quick swing. Pools of blood and blood spatter can be found pretty much everywhere. You can create a flammable sledge hammer. 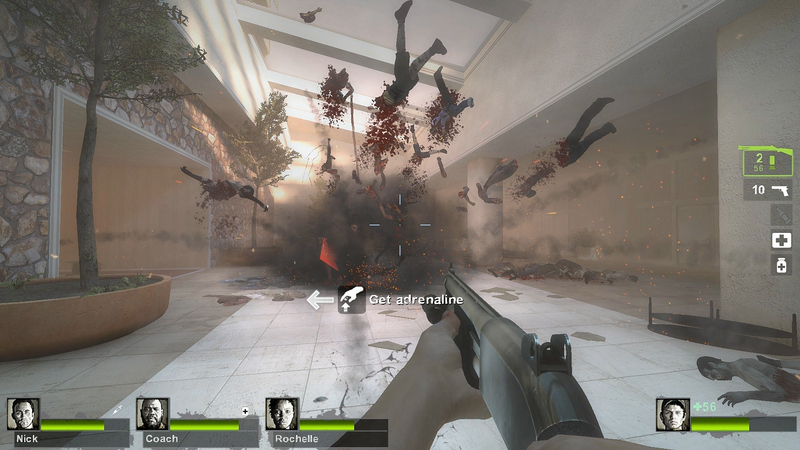 Smacking zombies across the face and setting them on fire has fun written all over it. If you knock down a zombie, you can choose to attack with your weapon or stomp their heads into a brain matter smattered puddle of blood. Sledgehammer To The Face, Incoming! 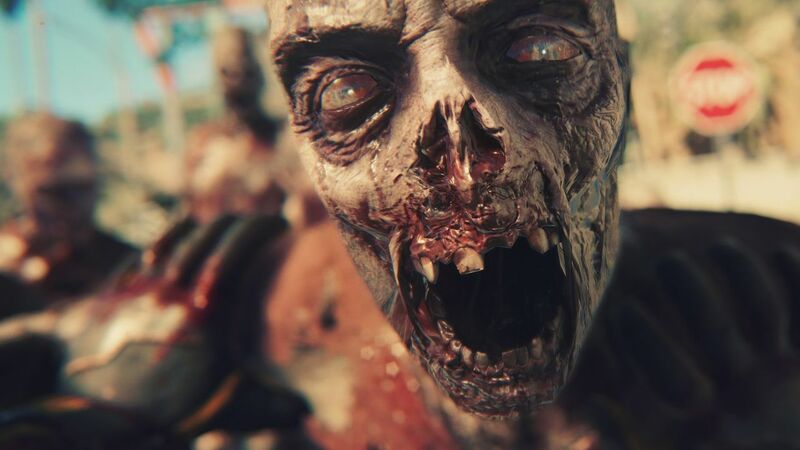 Dead Island 2 release date is vague as it is only said to release in 2016. There is a new feature that is called the Rage system. It gives players a temporary boost. There are many different combinations you can create weapons out of. You are Kyle Crane, an undercover agent. You are sent into Harran an infected city to retrieve sensitive information that was stolen, but morality comes into play and you must make a tough decision. Complete your mission, or help other survivors. The kills are similar to Dead Island. 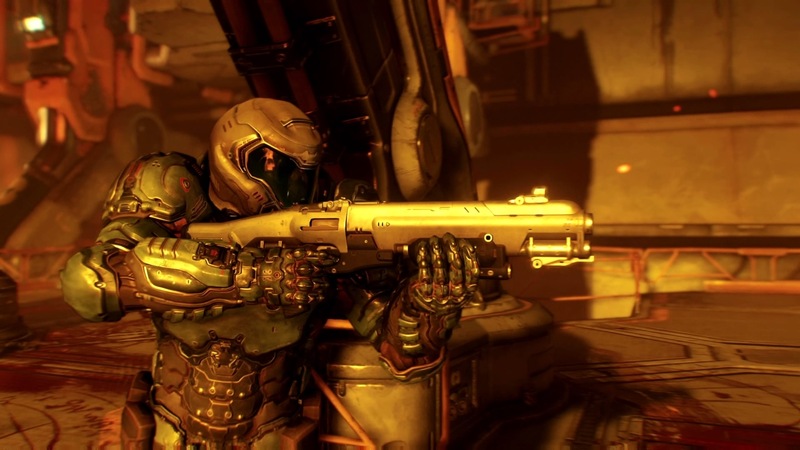 Modified weapons will allow for more brutal bloody kills. Heads often go flying after a swing of an axe. You can hit enemies with a baseball bat. When you do attack with a melee weapon, you can count on blood spraying absolutely everywhere. If you find yourself in a group of zombie like mutants, you can hack and slash your way out. The more bodies the more blood. Even after an enemy is dead you can attack them still. This will let you cut off limbs creating a very gory scene. 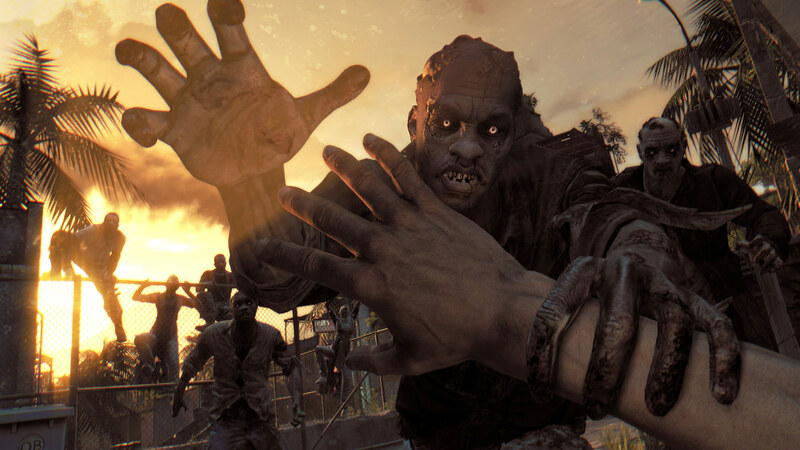 In the first week of release, more people played Dying Light than Grand Theft Auto V and Call of Duty: Advanced Warfare. In August of 2015, 5 million copies of the game had been sold. 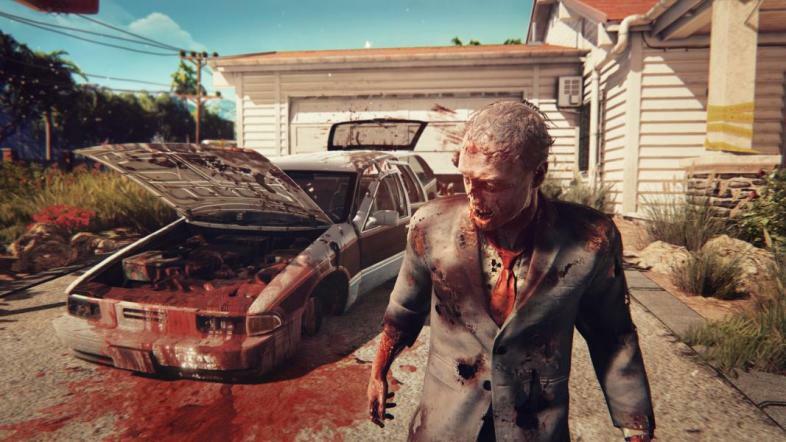 It is the most popular game that Techland has ever released. Zeds have now spread passed Europe and are wreaking havoc across the world. You, and possibly some friends, must fight through waves of them. 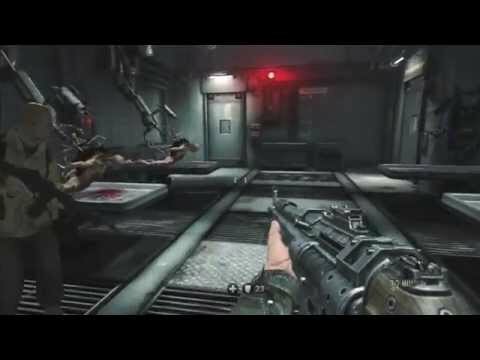 You can use guns, swords, or even a flamethrower to kill off the Zeds. a slash of a sword releases a massive spray of blood. Each and every bullet that hits will cause a spray of blood. 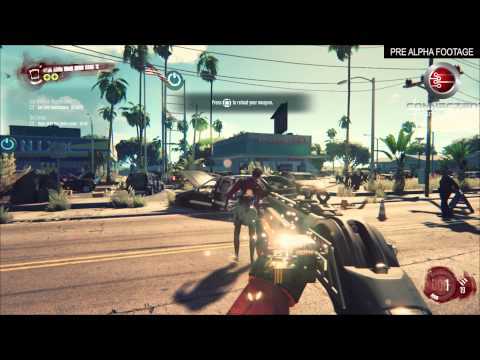 A shotgun shot will more than likely remove a head or limb from a Zed. You can enter Zed time, a random event triggered by “cool” shots. Zed time slows down time allowing you to aim easier and makes for more dramatic kill shots. 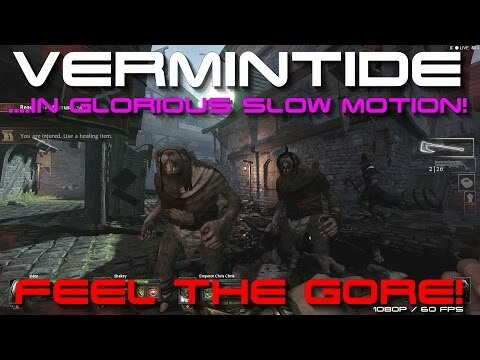 Grenades can be used in tight quarters and will create very bloody, messy scenery. Between rounds, bodies of enemies will disappear, but their blood will still be everywhere. 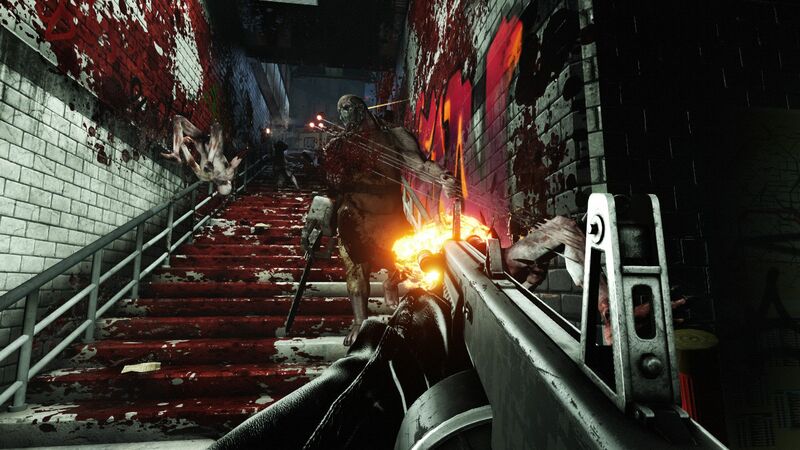 There will be a console version of Killing Floor 2. 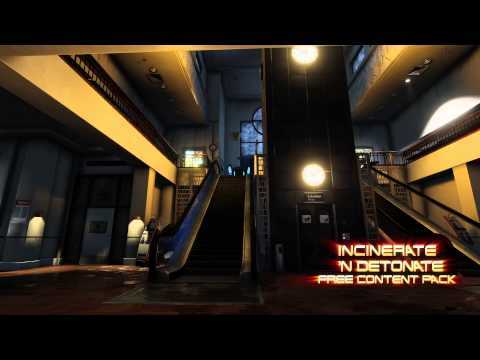 Tripwire released a short film titled, Killing Floor: Uncovered. Early access to the game was released on Steam on April 21, 2015. The completely game will be released in 2016. 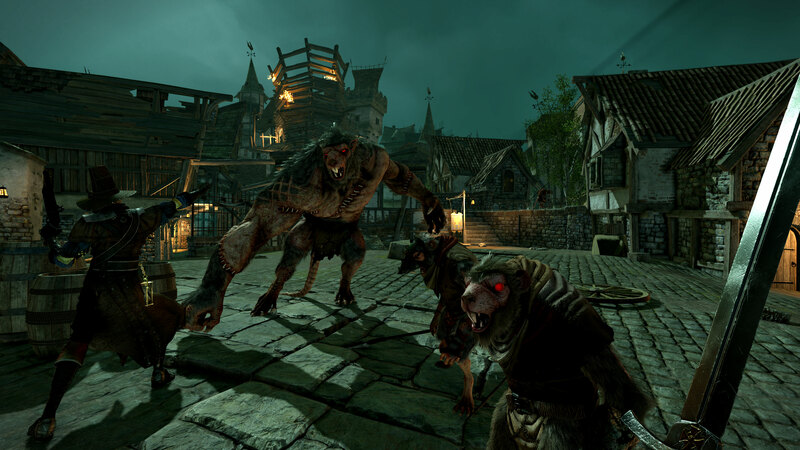 You and 3 other players must defeat the Skaven, a race of rat-like creatures, to get to a safehouse. Depending on which heroes you choose, your attacks will be different. The Witch Hunter will blow enemies into bloody bits with his two pistols. He can also use a melee weapon to slash his enemies. The Bright Wizard can blow up her enemies with the use of fire magic. Blowing up is an understatement, as you will often see bloody, burnt limbs flying away from the explosion. The Waywatcher is quick and silent. 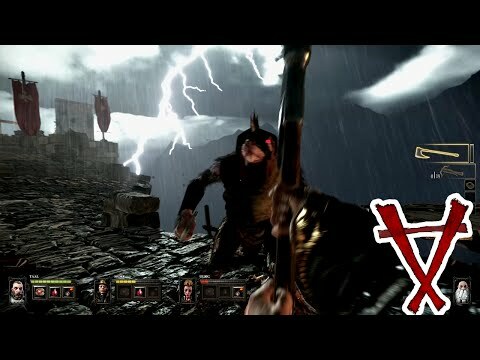 Using a bow, players can watch as the blood flies from a distance. The Dwarf Ranger enjoys using his shield to blast enemies in the face and swing his axe to remove their heads. And finally, the Empire Soldier. He uses a large hammer to literally crush the skulls of his enemies. He also has large gun that can decimate enemies quickly. There have been more than 300,00 copies of the game sold. 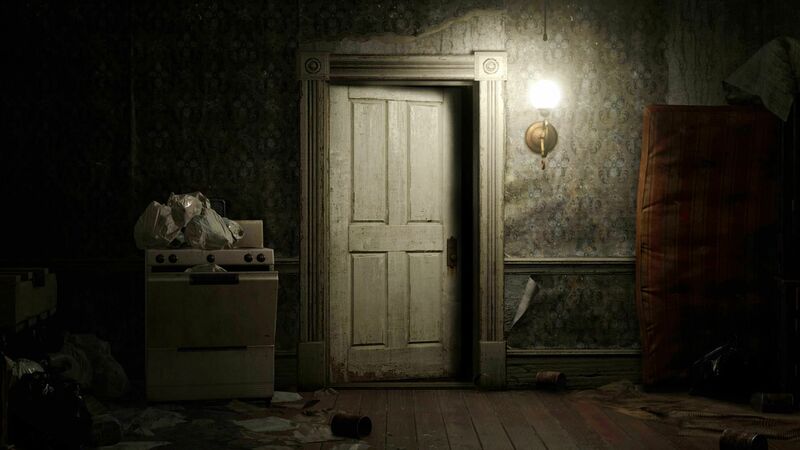 When released, the game received very positive reviews. It was released for PC on October 23, 2015. A console version is set to release on October 4, 2016. You must fight through the waves of zombies. You will learn what is really going on. 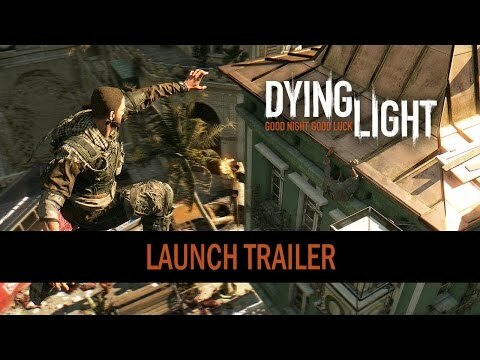 Though there is not much released of this game yet, there are certain scenes where you can see someone die. There is plenty of blood just in the one scene. The following scene will show you being dragged by some sort of creature. Then another scene of a man’s head being stomped on that shows a bit of blood as well. 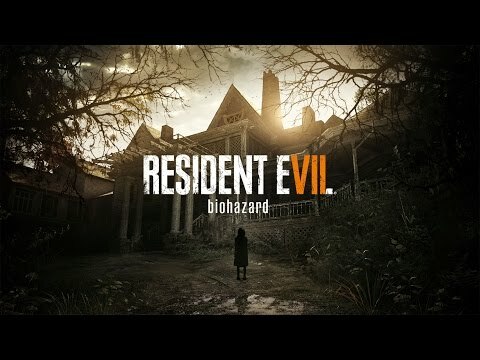 If we have come to expect anything from the Resident Evil series, it is that there will be plenty of blood and gore. The release date is set for January 22, 2017. This is the first in the series that will not have previous characters carried over. There will be a completely new set of characters as well as storyline. When the game was announced at E3 in 2016, the game was 65% completed. This title will fit more into the horror survival theme rather than the zombie theme the series has always followed. 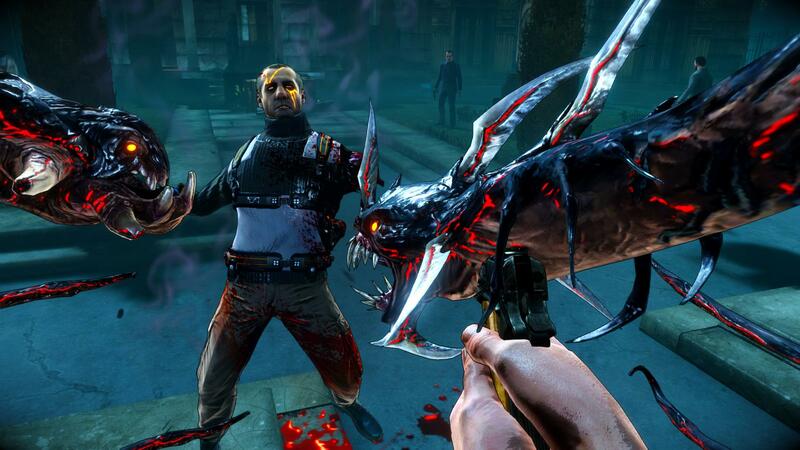 These are some of the most bloody first person video games. 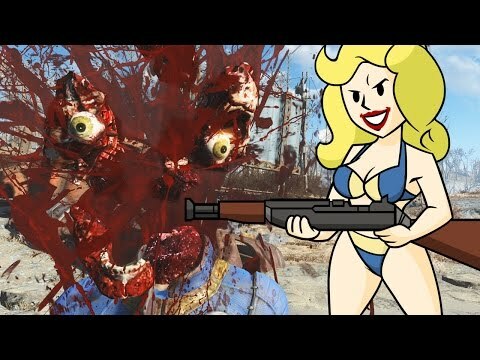 If you enjoy the guts and gore that video games can offer, you definitely want to play these. All the games listed above will give you the undeniable satisfaction of spraying blood across everything. 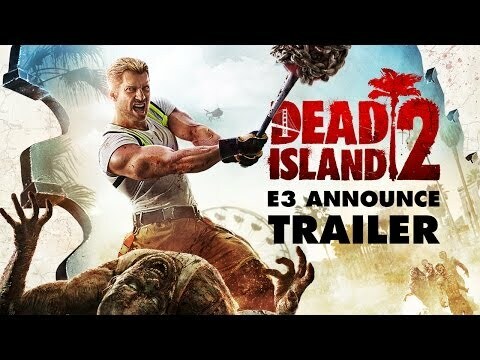 Dead Island 2 has been postponed to late 2016 from its 2015 initial release date.